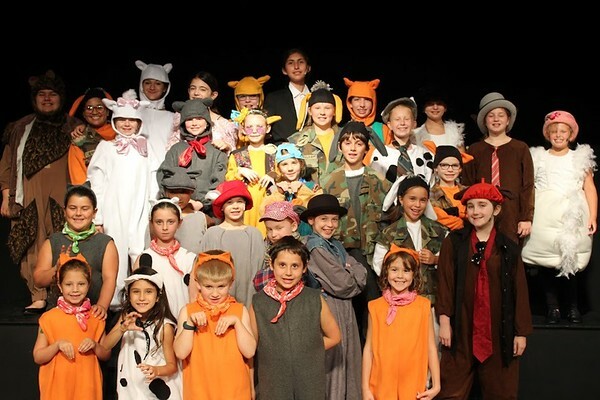 NEWINGTON-The Newington Children’s Theatre Company, Connecticut’s longest running children’s theatre, is excited to announce their Summer Stages season, for kids 5-16. NCTC’s full-day Summer Stages gives kids, ages 8-16, the opportunity to learn and strengthen their musical theatre skills, culminating in public performances. Everyone enrolled is cast in the production. Sessions run Monday to Friday, 9 a.m. to 4 p.m., with performances on the weekends. Payment plans and before and after care are available. Performances are Friday and Saturday at 7 p.m. and Saturday and Sunday at 2 p.m. Session fees vary. A $100 non-refundable/non-transferable deposit is due upon registration. The full payment is due by the first day of the program. Everyone receives a free cast T-shirt! Half-day Summer Stages gives kids, ages 5-7, the opportunity to get in the act! Throughout the session, kids will learn blocking (movement), choreography and music in preparation to become part of the ensemble of the corresponding Summer Stages production. Sessions run Monday to Friday, 9 a.m. to noon, with performances on the weekends. Session fee: $150. A $75 non-refundable/non-transferable deposit is due upon registration. Full payment is due by the first day of the program. Session One: June 25-July 1, 2018 - Disney’s Jungle Book Kids. When Shere Khan returns, Mowgli must rally the fellow animals into battle and restore peace throughout the jungle. Session Two: July 2-July 22 - Disney’s Alice in Wonderland Jr (no program on July 4). Travel down the rabbit hole and join Alice, one of literature’s most beloved heroines, in her madcap adventures through Wonderland. Session Three: July 23-August 5 - Winnie the Pooh Kids. Welcome to the Hundred Acre Wood, where Winnie the Pooh is in search of not only honey, but Christopher Robin, who was captured by the mysterious Backson. Session Four: August 6-12 - Magic Treehouse: Pirates Past Noon Kids. An adaptation of the fourth of Mary Pope Osborne’s award-winning fantasy adventure books. This time around, Jack and Annie’s tree house takes them to an exotic island with pirates, where the two discover the power of friendship and the simple pleasures in everyday life. Classes, rehearsals and performances take place at the NCTC Performing Arts Theatre, located at 743 North Mountain Road in Newington. No experience necessary. Registration is required for all programs. To register, or for more information, visit , or call 860.666.6282. Posted in Newington Town Crier, Newington News on Tuesday, 10 April 2018 18:08. Updated: Tuesday, 10 April 2018 18:11.